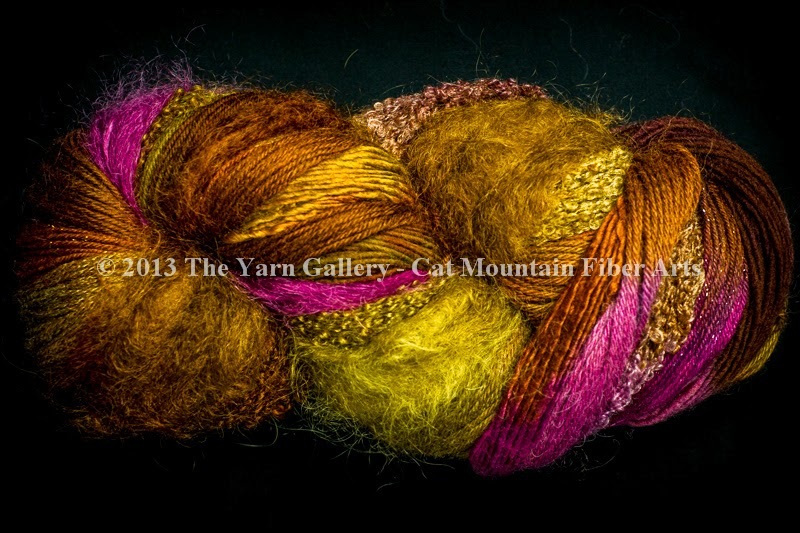 Want to explore the world of fine fiber yarn? This is the yarn to try! From fine merino to fuzzy mohair, there's a bit of luxury in here for everyone. Gorgeous colorways make this a clever set to play around with, design-wise. The yarns are also varied texturally, from multi-plied to a single to loopy boucle. I found the yarns to be easy to work with, shiny, bright and very well formed with no splitting. Laurinda's design is a perfect match, as I got to choose by look or feel, which yarn I wanted to use next...each row is an adventure! This yarn set is definitely "I'd use it again!"